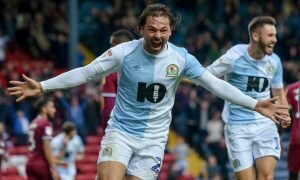 Three Reasons Jermaine Jenas Should Join Leeds United | The Transfer Tavern | Where football transfer rumours fly or die! Football outcast Jermaine Jenas has been linked with a move to the Championship, with Neil Warnock keen to bring him to Leeds United. A move that would be perfect for both Jenas, and the Elland Road outfit as they seek to regain their long lost status in the Premier League. The former England star will be desperate to revive a career truly epitomises the term ‘what could have been,’ while Warnock will be reinforcing a midfield that suffered several important losses before the international break. Jenas has been severely blighted by injuries nearly his all career, similar to former teammate Keiron Dyer. A loan move at Aston Villas last season quickly turned into a one year trip to the physio room. Now it appears his injury issues are temporarily at an end, and with no premier league club taking the chance with him, it seems the Championship is truly the best option for a player, once regarded as one of England’s best young prospects. So what would make Jenas an excellent signing for Leeds? He may have been blighted by injury after injury in recent seasons, but there is no doubt that Jenas brings a wealth of proven Premiership experience, that is vital towards any club seeking promotion to the promised land. 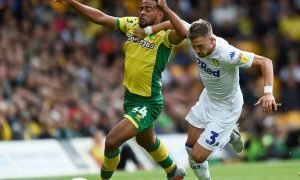 With 274 appearances at top flight level, topped off with 21 England caps, Jenas would provide Warnock with undoubted class and experience, that he will need to ensure his desire to take Leeds up another level does not come undone. With Warnock losing both David Norris, and Paul Green to injury. 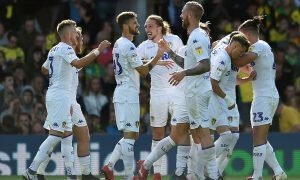 Cover is needed immediately to prevent Leeds good start going to waste. Jenas not only provides the answer in being able to fill in the gaps left by the injuries, but he will be able to slide into any central midfield position should Warnock require it. Jenas is able to play in the centre of the park, just in front of the defence or right behind the forwards, making him extremely useful and pragmatic for the Elland Road outfit. Despite long being out of contention for international honours due to his injuries. Jermaine Jenas, at the age of 29, potentially still has his best years ahead of him, if he can stay fit for longer than 15 minutes. There is still time for Jenas to leave his mark upon English football, and by joining Leeds, even though classed as a step down from the lofty heights of the Premier League, he will be able to re-establish himself to fans and potential suitors alike. Should Jenas join Leeds? Leave your comments below.